API 6A Weld Neck Flanges are pipe flanges attach by welding the pipes to the neck of the flanges. This transfers stress from the flange to the pipe instead. It also reduces the stress concentration from the base of the hub. 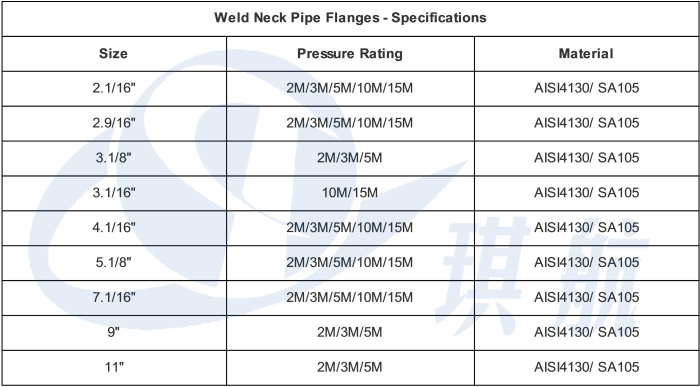 Welding neck flanges remove stress concentration and allow full working pressure and they are often used for high pressure applications. 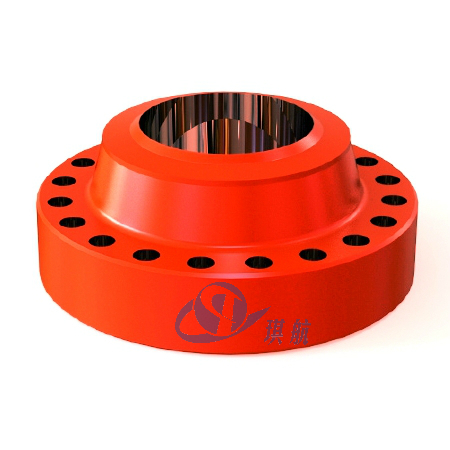 The inside diameter of the flange is designed to match the pipe's inside diameter. Weld neck pipe flanges are typically provided with a raised face, flat face, or RTJ facing. 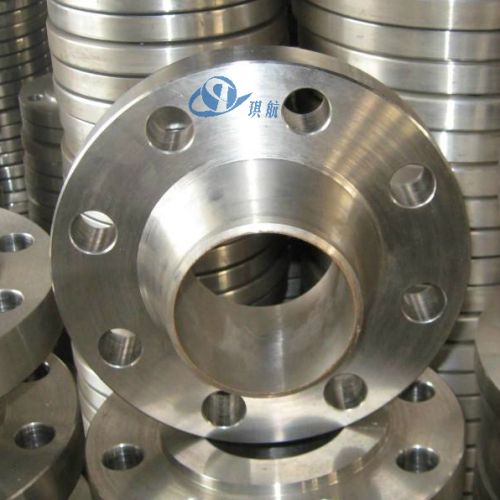 Qihang manufactures both API 6A Type 6B and Type 6BX flanges from forged alloy steel AISI4130. API 6A flanges are designed to join pipes together, increase support strength, or block off a pipeline. 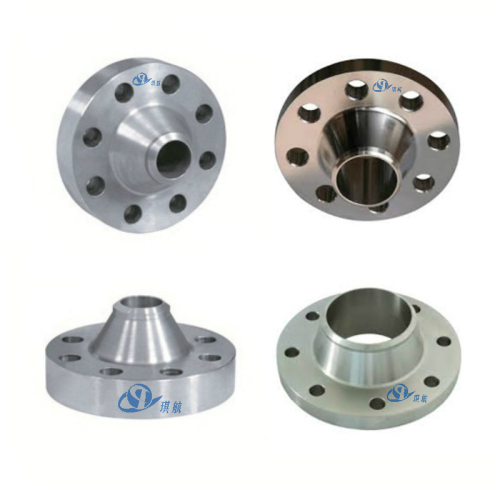 Type 6B flanges are of the ring joint type and are not designed for face-to-face make-up. The connection make-up bolting force reacts on the metallic ring gasket. 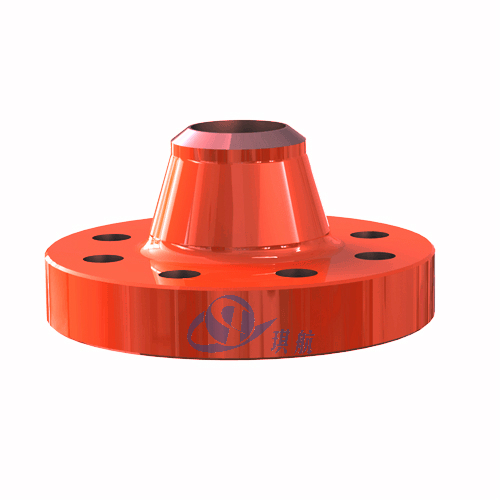 Type 6BX flanges are designed with a raised face thus preventing damage to the flange and gasket. API 6A flanges are either bolted or studded and they are normally made of AISI4130 forged alloy steel. 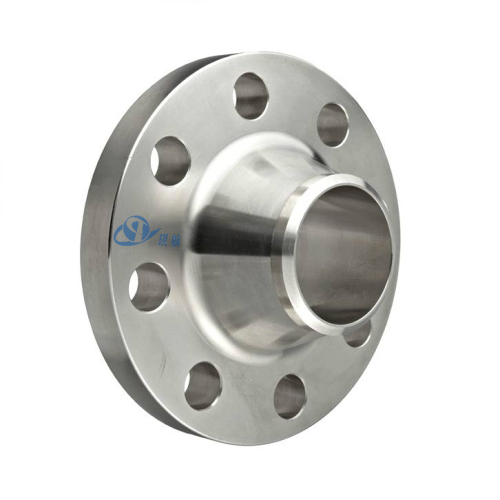 The flange size ranges from 1-13/16" to 26-3/4" and pressure up to 20000PSI. For sour service, all ring grooves can be inlaid with stainless steel SS316 or inconel 625 for better protection. 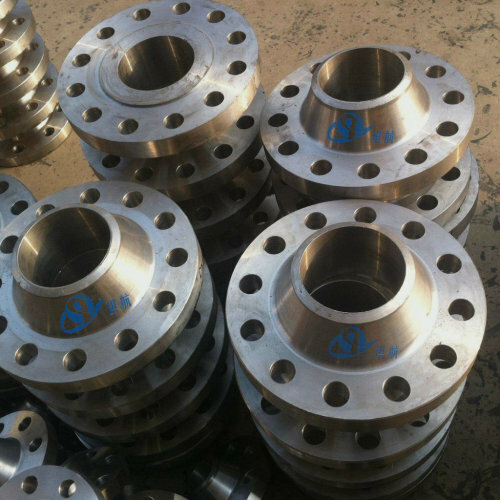 Aside from API6A welding neck flange, we also produce and sell threaded flanges, spacer spool flanges, blind flanges, companion flanges, target flanges, test flanges, double studded adapter flanges(DSAF), and adapter spools for all client needs. 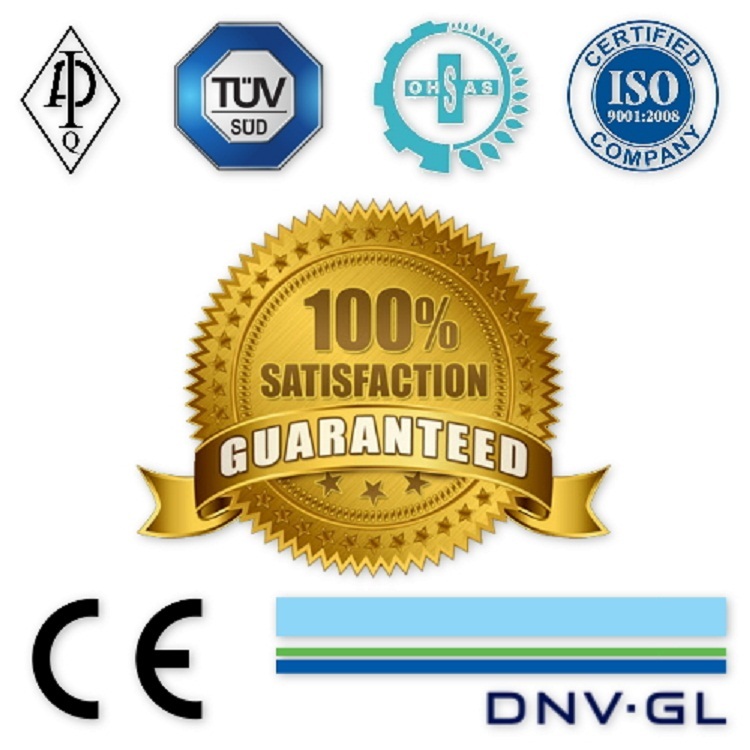 Traceability: Qihang's weld neck flanges are supplied with full traceability documentation for each component. 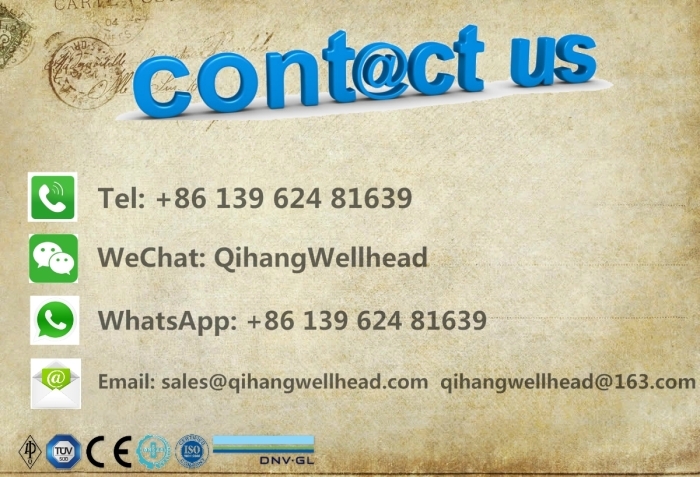 Qihang produces High Quality API 6A Weld Neck Flanges at Truly Competitive Prices.